The Weak Energy Body Constitution refers to a body that does not have enough energy to carry out its regulatory functions normally. Low energy impacts the body as a whole, as well as individual organs. This results in such things as a pallid complexion, weak voice, skin impurities, and other long-term side effects such as hair loss, increased aging and softening of the muscles. The source of these ailments is often a weakened spleen and lungs, the two major organs that regulate energy intake. Chinese Medicine has established that the spleen regulates the digestion and absorption of food and water into our body. An imbalanced and weakened spleen therefore means that food and water is not effectively digested. Nutrients and energy do not absorb fully into the body, resulting in a lack of energy. A suboptimal intake of vital energy via the lungs during respiration results in a weakening of the immune system and a de-energised state of being. To find out how to lead a healthy and balanced life if your body type is Weak Energy purchase our detailed 15 pages report. The Oriental Balance Shan Yao tea not only consists of healing herbs to replenish vital energy, but it also promotes the flowing of vital energy and nourishment of the body by strengthening the Spleen (responsible for effective digestion) and Lung systems. 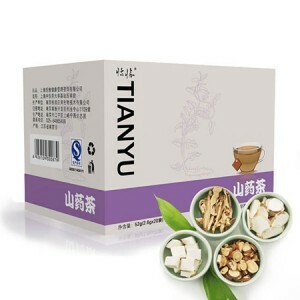 A prolonged treatment with the Shan Yao tea will gradually improve your health and appearance.